I really enjoyed this short story and was amazed at how much got packed into the pages. 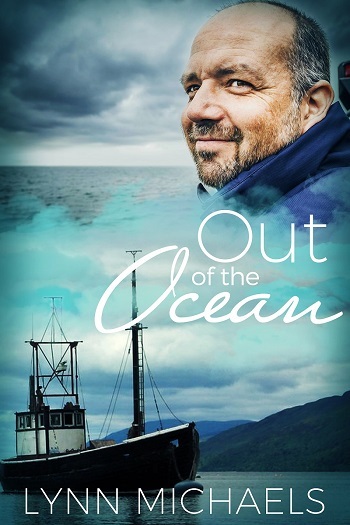 Two men, both shipwrecked in the same storm, but from totally different social strata, collide in their lifeboats, and spend time learning about each other and themselves. The ultimate ‘get to know you’ opportunity really, being at sea, with maybe little hope of rescue. I felt that they did brilliantly and was fascinated by the way they opened up about their hopes and dreams. The thought of how less than clean they were was a definite downer on the romance, as was what they chose to eat, but it was interesting. It could so easily have ended there, especially given Scott's overbearing parents, but obviously Ms. Michaels had other plans, which ensure we get the story we desire. I was a little uncertain about their business choice... I have a feeling I would have stayed far, far away from the Atlantic! So I’ll start with what I liked about Out of the Ocean. The action at the start of the book where both men end up in life rafts is really well done. Got the heart pumping and had me eager to see if and how the men survive. I really liked Cal, the older, lonely fisherman was easy to understand and his feelings easy to relate to. I also like the romance between two men from very different worlds and I didn’t mind the age gap either. Now the things I didn’t like. Parts of the story were corny, others felt just plain ridiculous and had me rolling my eyes. They barely know each other and are fighting for survival but they are busy having romantic thoughts. Later on, there is a huge event in the scheme of the story that is described to us in one line, but later in the story, the author repeatedly takes the time to describe the décor on a boat. This I found infuriating. Another problem with this story is Scott. He is supposed to be mid-thirties but the relationship he has with his father and his behaviour made him feel more like he was a 20-year-old. I struggled in deciding whether to rate this book two or three stars and ended up going with three because it is easy reading and I read it quickly. It was almost a case of it being so bad it was good. At the end of the day I was entertained, and I was left feeling positive when the story came to a close. So, three stars it is. 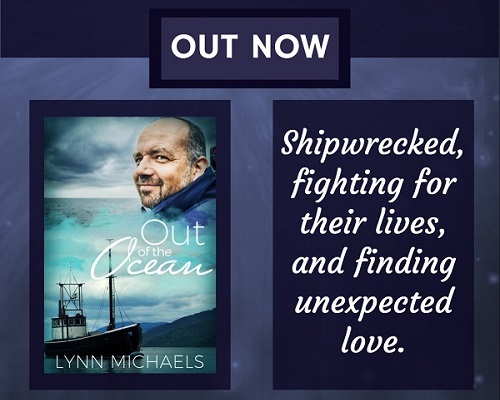 Reviewers on the Wicked Reads Review Team were provided a free copy of Out of the Ocean by Lynn Michaels to read and review for this tour.